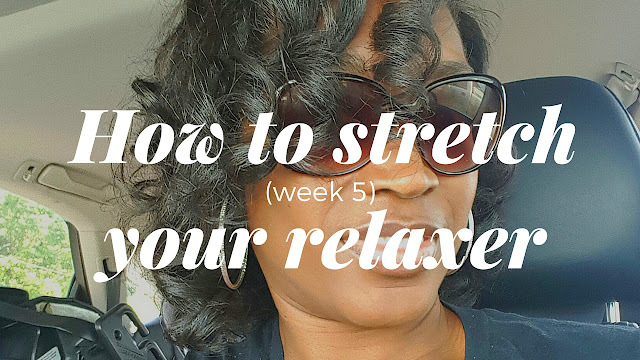 Welcome to week five of the relaxer stretching series! For a lot of you, it is custom to get your touch up next week. But we are taking our hair to the next level so let's remove that thought and focus on the stretch. 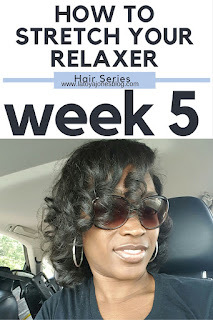 If you are at all interested in this series or have been following since the beginning, then I am sure it is safe to say that you are seeking a way to get and/or keep your relaxed hair healthy. Well, I'm here to tell you that relaxer stretching is one of the main keys for this to happen. As you get further and further in your stretch, you will notice your hair getting stronger, breaking less, looking thicker, and growing faster! Sounds great right? Well let's be sure to stay on track! Remember, I'll be on my stretch for six months but you do not have to go that long. Four is enough for you to still have healthy hair. 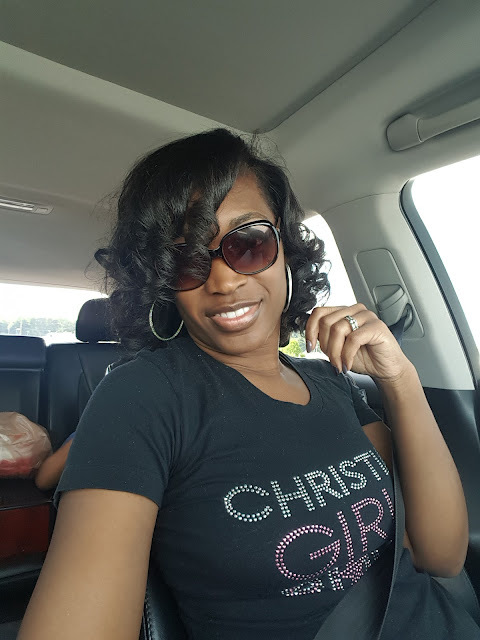 This week I did curls again, pin curls this time. 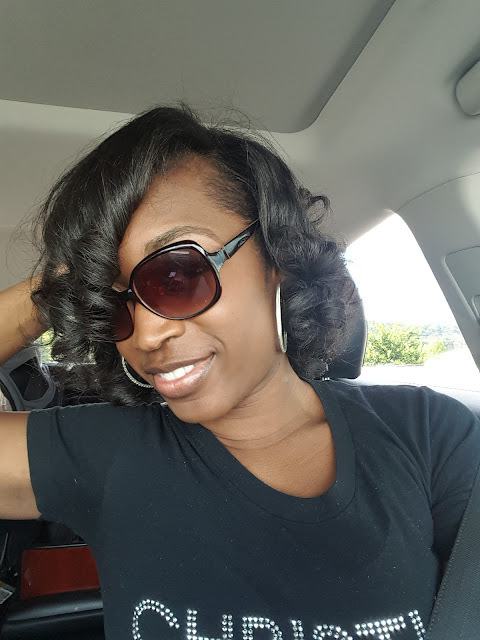 Pin curls gives the hair the look of a roller set without using the rollers and without sitting under the dryer. No dryer sounded amazing to me so I was game even though I despise curls! LOL! I'll take that back, I do not despise them but I do not like them on me. I like them much more on other people, more than likely because I used to get curls ALL the time at the request of my lovely mother and as a result I am now obsessed with straight hair. But nonetheless I did curls again. 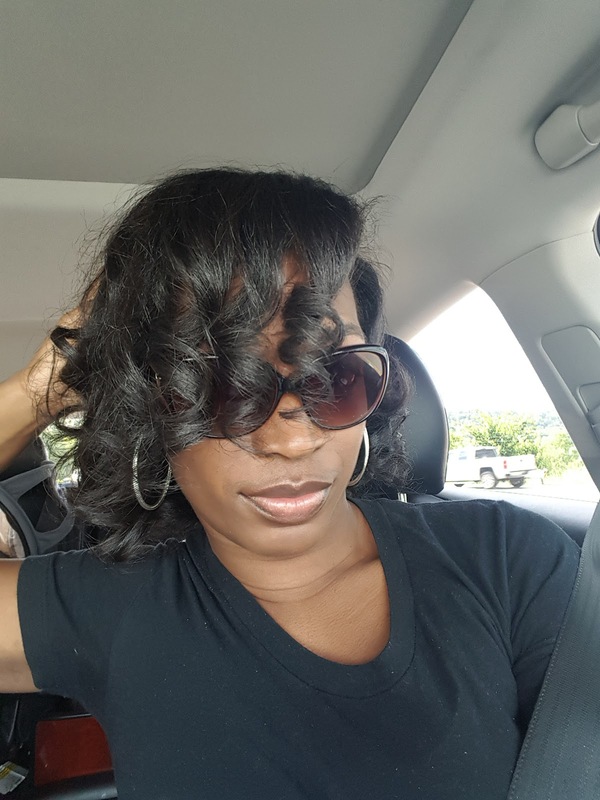 To maintain the curls, I will be using flexi rods nightly. No heat for the rest of the week! 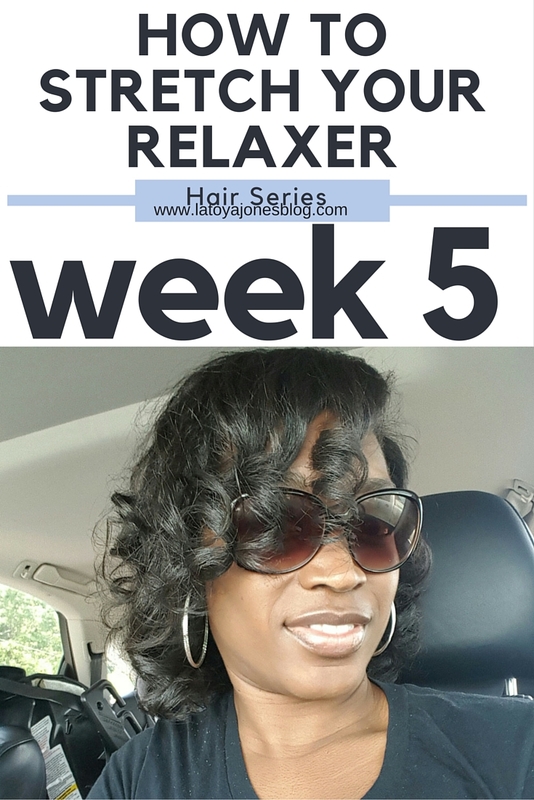 Check out the video where I go over week 5 and show how to do the pin curls to get this look.